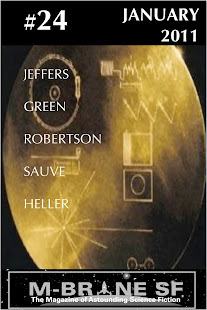 As an added bonus, I will give anyone who pre-orders The Aether Age a free 12-month subscription to the electronic (PDF) edition of M-Brane SF. Just forward a copy of your PayPal e-receipt to mbranesf at gmail dot com, and you're on the subscrips list. Go here for more info on this book and to see the cool trailer.